Originally published in Section Culture: Newsletter of the ASA Culture Section. Winter 2018. Vol. 30 Issue 1. Benzecry, Krause and Reed’s (BKR) Social Theory Now (Now) is as much of an accomplishment as advertised by blurbers in the book back cover (you’d be surprised to find that sometimes this is not the case). 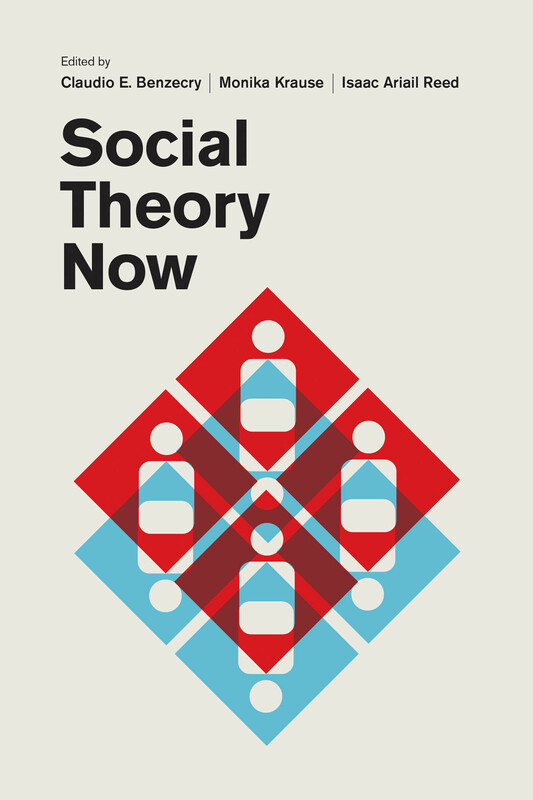 Faced with the herculean (and unenviable) task of taking a snapshot of the increasingly amorphous and evolving entity called “social theory” at this moment, I believe the authors have largely accomplished this task. This is made more impressive because the editors are of a still young institutional age. The book massively succeeds in its task of serving as a contemporary replacement (for both purposes of pedagogy and reflection) of the “green book” from the 1980s (Today). However, in what follows I must set further pleasantries aside, to focus on the mandate laid out by one of co-editors (K): To assess the extent to which BKR have identified the “core questions and concerns” that “hold the conversation together.” I was also tasked with assessing whether the authors have identified the “most distinctive traditions in the current landscape which engage these questions.” Finally, I was asked to point to anything that BKR might have “missed” and note what I would have done differently. One surprising observation is how little things have changed in this respect. If you take out two of the “theory outside of sociology” chapters (e.g. on feminist and postcolonial theory), the current book has a chapter of (mostly Luhmannian) “systems theory” (Today had a chapter on Parsonian systems theory); both Now and Today share chapters on structuralism/post-structuralism and World Systems Theory; Now has a microsociology chapter and Today had chapters in symbolic interactionism and ethnomethodology. Even some “new” theoretical traditions included (e.g. Network Theory, Sociology of Conventions, and Actor-Network Theory) are packaged in the old “theory school” format that dominated Today. I believe this is a weakness of Now, but it has nothing to do with faulty judgment by BKR or deficiencies with the work of the relevant chapter authors (in fact these are some of best chapters in the volume). Instead, this is actually a feature (and a weakness) of “really existing” social theory today. So if this reflected in the volume, it means that BKR did their job. However, as I’ve argued elsewhere (2014), I believe the theory school format is a faulty, “hysterectical” feature of a theory field in flux: A mode of organization and a style of “primitive classification” that befitted an earlier state of the theory field but that it is increasingly obsolete now. The strains of the theory school approach are most clear in the (superb) chapters on Actor-Network Theory and the Sociology of Conventions, where the authors, despite their great erudition and lively writing, struggle to cobble together into theory schools a heterogeneous assemblage of French authors, none of whom are conventional “big men” (sic) theorists nor have developed conventional theory schools. Instead, a few aspiring “classic” texts are recruited for this purpose but the effort falls flat. I also argued (2014) that the only way to get the theory field moving forward was precisely to move away from theory schools and/or French (or German) theory saviors and toward sustained theorizing around core sociological “problematics.” It is significant that it is here that one can identify Now’s core tension. It is almost as if BKR are grasping at the opening offered by the fluctuating theory field, but are being held back by rigid inertial forces of the dying theory school mold. Hence the hybrid “core questions” embedded in “traditions.” But here the dead letter of the latter are weighing down the liveliness of the former. The result is that most of the content of Now is taken up either with reviewing old (bona fide) traditions, or with the performative attempt to create traditions from work written by European scholars after 1980s. So my main criticism here is that unfortunately, the balance of “dead” over “living” theoretical labor (Lizardo 2014) (DTL and LTL), is way too skewed in favor of the former. For instance, one of the great ironies of Now is that the book contains relatively little theory work that would reflect the LTL style of theorizing of two its blurbers (Abend and Swedberg). Yet, there are whole contributions (and within some theory school chapters subsections) where one can see LTL (or “theorizing” in Swedberg’s (2017) terms) come back up for air. Two of these chapters are written by the editors (K and R). In Reed’s chapter on culture, one see little review of DTL. Instead, Reed tackles core definitional (what is culture not?) and analytical questions (e.g. the location of culture, the specificity of cultural explanation, the role of interpretation, etc.). The same can be said for Krause’s chapters of fields, where after a brief review of DTL, we are immediately led to analytic issues of field location, scope, field-identification, autonomy and symbolic structure. Erikson’s chapter of formalism and relationalism in network analysis contains its share of DTL, but also grapples with important analytic issues of the definition of social relationships, the extent to which we can say relations are “constitutive” of anything, and the role of networks and culture. Ermakoff’s chapter is almost entirely composed of LTL and deals with fundamental features of what a “rational choice” explanation comprises and in what contexts it is most fruitful. Even Gross and Hyde’s chapter, while containing its full complement of pragmatist DTL, also features some really creative ways of using the notion of imagery to rethink the process of norm conception and norm following. So, appropriate for a field in flux, and to continue with the Marxian analogies, the core tension of Now is that the old theory school relations of production seem to have come into conflict with the new mode of theory production. While at some point (in the 1980s) the theory school framework was an aid to the labor of theorizing, it has now turned into its fetters. So if the dialectics point in the right direction, we may be on the cusp of a social theory revolution, where the new mode of theorizing bursts asunder the theory school fetters. But, as with the core contradiction in Marxism, we should not be caught just waiting for the forces of theoretical history to make it happen. So, with a full understanding of the irony of making future predictions after using Marxian analogies, I identify two things I think point to what theory may look like tomorrow. One is already featured on the parts of Now that feature LTL, and this is that rather than listening to BKR (or BKR listening to their own introduction) and focusing on “grand” questions (social order, epochal change, etc.). The best theorizing in Now deals with delimited analytical problems (e.g. the “location” of culture). These questions are actually no less grand for being circumscribed; in fact, the better theorizing is made possible precisely because of that feature. The other one is one that is not reflected in Now but which I hope a future volume will. For, while BKR rectified the fact that the green book was more like a manbook, they reproduced what I think is an equally retrogressive feature of theory work: With two exceptions, every chapter is written by a lone author who valiantly, but solitarily, wrestles with the issues. But I believe some of the best theorizing tomorrow will be done via collaborative ensembles of human (sociologists) and technological (Google Docs) actants (for a—biased—sampling of such theorizing today see McDonnell, Bail and Tavory (2017) and Wood et al. (2018)). For producing good LTL, two, three, four, or even five heads are better than one. In this respect, the humanistic model of the lone armchair theorist lost in thought is as obsolete as the social organization of theory schools centered on such (usually old, male, and white) theorists. If there will be a Social Theory Tomorrow, I propose that it combines these last two aforementioned qualities and takes the form of a collaborative miniaturism. Multiple heads collaborating in real-time on a web platform tackling targeted analytical problems. Lizardo, Omar. 2014. “The End of Theorists: The Relevance, Opportunities, and Pitfalls of Theorizing in Sociology Today.” Pamphlet Based on the Lewis Coser Memorial Lecture, Delivered at the 2014 Annual Meeting of the American Sociological Association in San Francisco. McDonnell, Terence E., Christopher A. Bail, and Iddo Tavory. 2017. “A Theory of Resonance.” Sociological Theory 35 (1): 1–14. Swedberg, Richard. 2017. “Theorizing in Sociological Research: A New Perspective, a New Departure?” Annual Review of Sociology 43: 189–206.